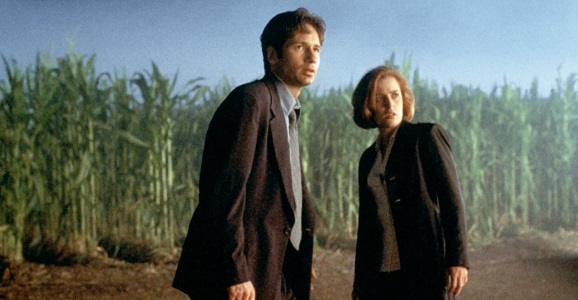 While it seems like there is always talk of this, there has been a lot of recent chatter about rebooting The X-Files. It’s been gone for 15 years, but given the success Fox had with 24: Live Another Day, they’ve been kicking around the idea of a limited series, an idea that both stars Gillian Anderson and David Duchovny have expressed at least cursory interest in. Still, at this point it’s all just talk, but it’s a possibility, and considering that just about everything has been revisited, stranger things have happened. The X-Files leaving Netflix isn’t the end all, however. Fox reportedly has deals in place with both Hulu Plus and Amazon Prime, so if you have a subscription to either of those services, you’ll still have access to all nine seasons. And if you don’t, perhaps this will be just the push you need to make the move. Other Fox-owned shows, like Angel, Buffy the Vampire Slayer, and Firefly, were also reportedly on the chopping block as well, but the two sides have reached a deal that will allow them to remain on Netflix streaming. So the news could be much, much worse for genre fans. This is just the way of the world we live in, and by now most of us are pretty used to this revolving door. And if we really need an X-Files fix, there are ways to get one. Hell, there are probably a lot of you out there who already own all nine season on DVD. No one can take that away from you. I own this, Battlestar Galactica and Red Dwarf on disc. Can binge anytime. Eff Netflix. X-files is not leaving netflix. It’s still there.